Barbados... The Perfect Caribbean Golf Destination! Golfing in a Caribbean paradise! 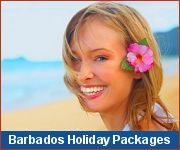 Barbados is an ideal Caribbean golf vacation destination, with several top-class golf courses and resorts, and many great Golf Vacation deals! 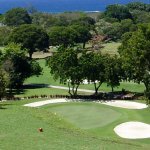 Spend your Caribbean Barbados golf vacation on Sandy Lane Golf Course, Royal Westmoreland, Barbados Golf Club and Rockley Golf Course! Barbados golf vacations offer the opportunity to play on Caribbean golf courses designed by architects such as Ron Kirby and Robert Trent Jones Jr.
Several local hotels and resorts offer special Barbados Golf Vacations packages, that include accommodation, tee times, and transport between the resort and golf courses. An amazing beach, excellent facilities & welcoming staff make Southern Palms Beach Club a place to return to again and again! 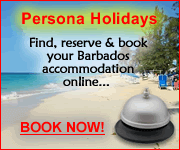 Partner hotel of Barbados Golf Club. 20 mins drive from Barbados Golf Club, Island Inn Hotel combines old world charm with modern amenities in all inclusive comfort. A short drive or taxi-ride from Barbados Golf Club, the incredible Bougainvillea Beach Resort is a place to relax and unwind in the warm Caribbean sunshine. For the real golf lover we recommend a villa right on the fairway at Apes Hill, Barbados newest exclusive 18-hole course.